Three months. That’s all the time I have left before baby numero dos is due. (Unless of course, he… or she, comes early…) It seems like a long time, but I know it will just fly by. Especially with Christmas coming. I know, I know – I shouldn’t even have mentioned the ‘C’ word, but it’s true. It’s a’comin’. And personally, I’m pumped for the shopping trips. Buying things for people, baking = fun, fun, fun. Busy, but fun. And our little guy will actually be aware of everything this year. I’m super excited to see how he reacts to all the hullabaloo. And that means baby will be along shortly (and I can stop going to work! Not that I’m excited about that, or anything…). Thanksgiving anybody? It was great to have a turkey dinner. I made my first ever yule log thingy (and it was awesome – and I’ll share it with you soon!). Deep Chocolate Buche de Noel. Yum. It was the first dessert gone at our family gathering. So I’ve got three words for you. Wanted to bake everything in it. So what did I do? Went to her blog and made something from there instead. Hot Cross Biscuits, to be exact. But don’t worry, a few days later I made her Cinnamon Sugar Rice Pudding out of the cookbook. It rocked world. But not near as much as these biscuits. They were awesome. I would make them again, and again. And eat them. All. Preheat oven to 400F. Line a baking sheet with parchment paper, or grease with shortening, and set aside. In a bowl, combine flour, sugar, baking powder, and salt. 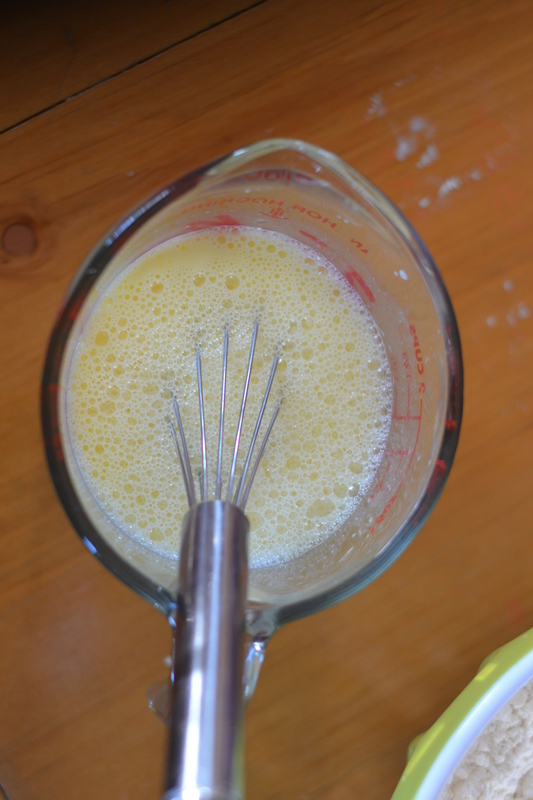 Using a pastry blender, cut in butter, until resembles flakes of oatmeal. Slowly fold into butter/flour mixture, just until all the flour is wet. 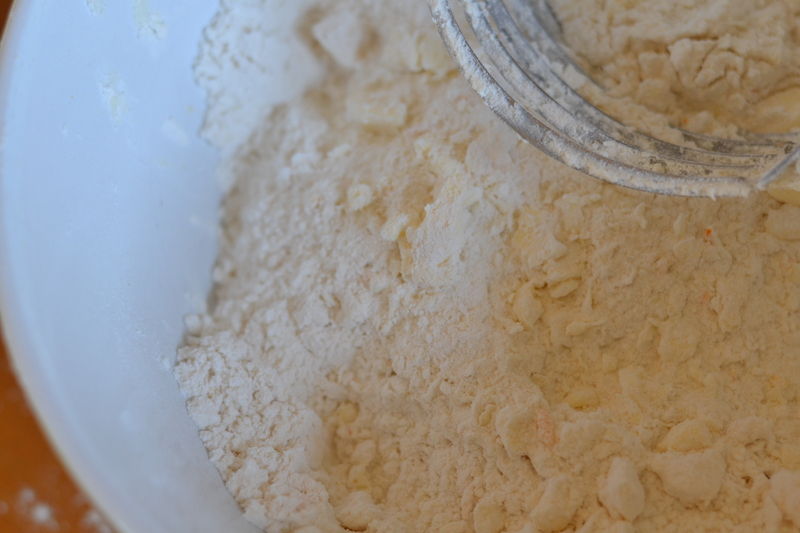 Place on a floured surface and knead slightly. 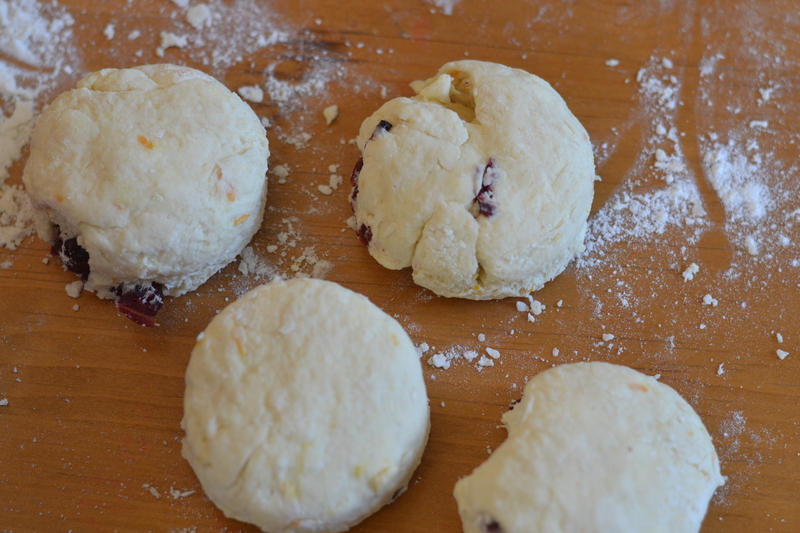 Roll out until dough is 1 inch thick, and cut with a biscuit cutter (whatever size pleases you, really). 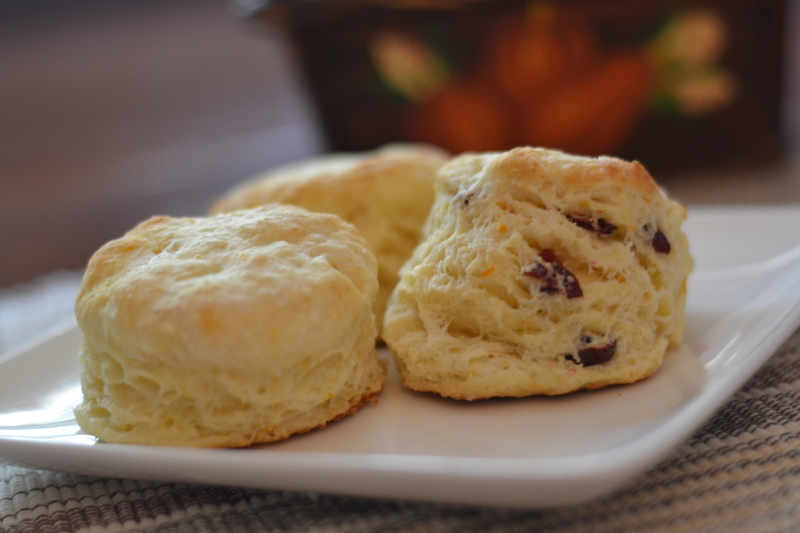 Brush the tops of the biscuits with buttermilk, and bake for 12-15 minutes, or until golden brown on top and bottom. Remove from oven and let cool. These are amazing served with butter and jam. 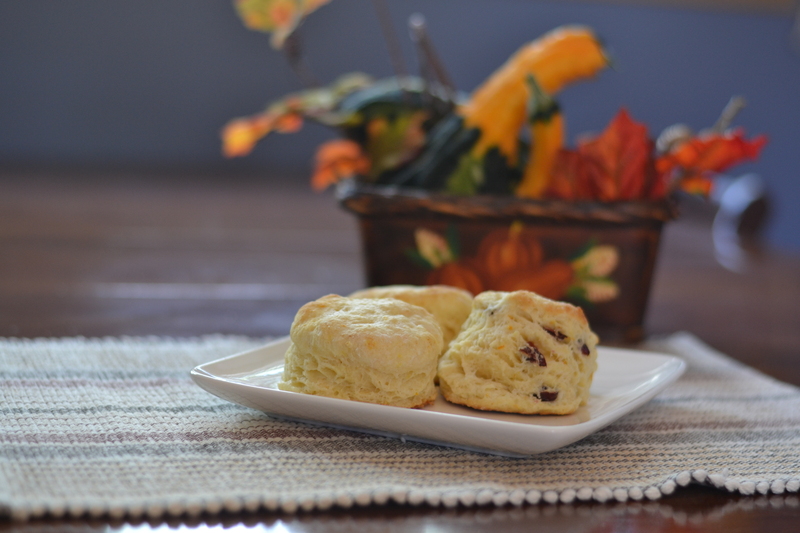 I omitted the cranberries from half of my recipe, and I loved them both ways. Well. That’s [fairly] early. My first love would be my hubby. I’ve had a crush (and then wayyy more than a crush) on him since elementary school. Sure, we’ve had ups and downs. But I never ever gave a thought to us not being together. There were scary times, when it came close, but we got through. He’s handsome, in a rugged (which is my favourite!) way. Funny, sarcastic, great hubby, wonderful Daddy – these are only a few of the things that I love about him. 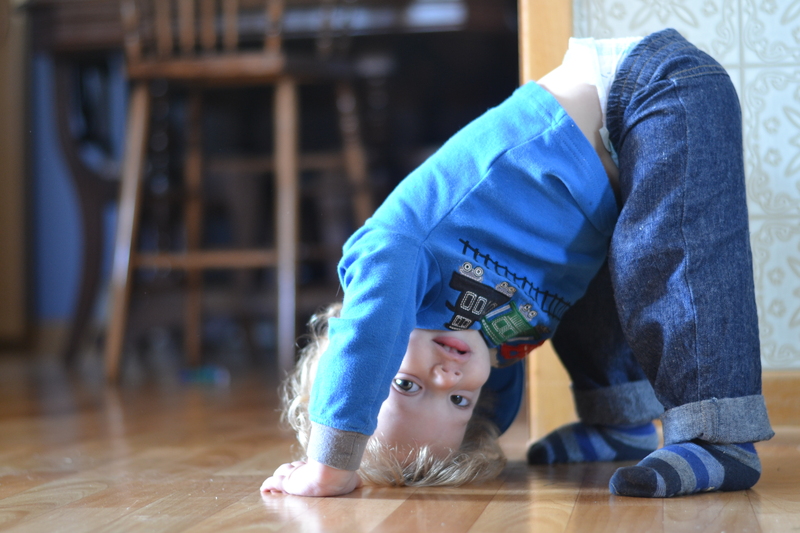 I’ve got to mention his little crooked smile, and the mischievous look he gets too. They’re just too good to pass up. He is the only guy I’ve ever kissed (other than my daddy, of course). The first time was, well, messy. And I thought about it for months… Okay, maybe years. Because we really had two first kisses. The second time was… not so messy. It made my heart flutter (literally, I think I could have had a heart attack), and I was so nervous both times, I could’ve thrown up. But it was great. I’ve kissed him a million times since. Gets better every time. So there’s the juice. Now you know.